“The sky’s the limit if you have a roof over your head.” While the gentleman, Sol Horuk, who spoke these famous words did not work in the roofing business, he did understand the importance of protection, comfort, and support throughout all walks of life from the people and places that surround you. Mentally and physically a roof over your head is good, but a perfect roof, that is firmly rooted in superior craftsmanship and absolute care is vital to the well-being of your home or business. Because of this, when your commercial or residential roof is in need of repair, or you’re looking to replace it with a new one, the only way to attain that perfect roof is to call the best licensed roofers in Broward County, Florida, Universal Roofing. Since Universal Roofing opened it’s doors in 1980, we made it our priority to offer the families of Broward County a cost-effective solution to any roofing problem. This included an emphasis on quality customer service, versatility in our capabilities and brand knowledge, and the willingness to go the extra mile when our customers need it most. For over 35 years we have achieved these goals with our A+ Rating in the Better Business Bureau, and our many positive customer reviews on our website, Yelp, and Google Plus. And it wouldn’t have been possible without our fully licensed and insured professional roofing contractors who work hard to serve the residents of Broward County, Florida with exceptional roofing services. Roofing Repairs and Services Whenever You Need It! No matter the time or day, or even the day of the week, our experts are always on standby, waiting for your emergency call to repair your roof in a timely manner. Especially if your roof was damaged by a storm or high winds, we are always prepared with our trucks fully stocked and contractors on call. The fact is, repairing your roof always happens unexpectedly and at the most inconvenient time. That’s why we make it our business to give you fast, efficient services and take care of your roof so you never have to worry again. With our on-going training and many years of experience working on every kind of roof, our roofers will always have the answers and solutions you need for your damaged roof . Whether the destruction came from mold, old age, a fallen tree, or just a freak accident, please give us a call at 954-923-5100. Because of their extensive background and continual education, our licensed professionals are your go-to people for advice on replacing or building a new roof. When you give us a call, we will be able to answer any questions you have right off the bat. We can even give you a FREE quote and offer different possibilities of roof types depending on your roof size and location. Let’s face it: no two buildings or homes are alike, and no two roofs should be either. Having the opportunity to pick a specific roof type for your unique building will extensively impact the longevity and quality of your roof. 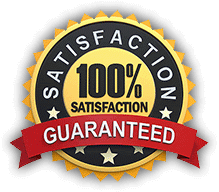 And after you decide what is best for you, we will install your new roof with the highest quality of work and craftsmanship so you are 100% satisfied when it is all said and done. What is more, from your first quote, to final clean up, we promise that our highly skilled professionals will exceed your expectations and provide you with the absolute best roofing experience. With the best licensed roofers in Broward County, Florida, the sky is truly the limit. Our superior services coupled with our fully trained professionals, gives you a sturdy, long lasting roof for many years to come. 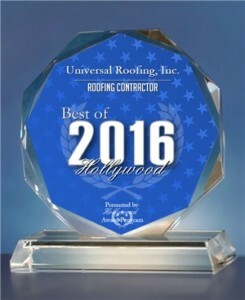 We promise that will always be in good hands with Universal Roofing. Whether you’re in serious need of a roof repair, building a brand new home, or just ready to ditch your old roof and invest in a new one, Universal Roofing is here for you. So give us a call right now for your FREE quote. Just call us at 954-923-5100, you’ll be glad that you did. Is Time For A New Roof ?